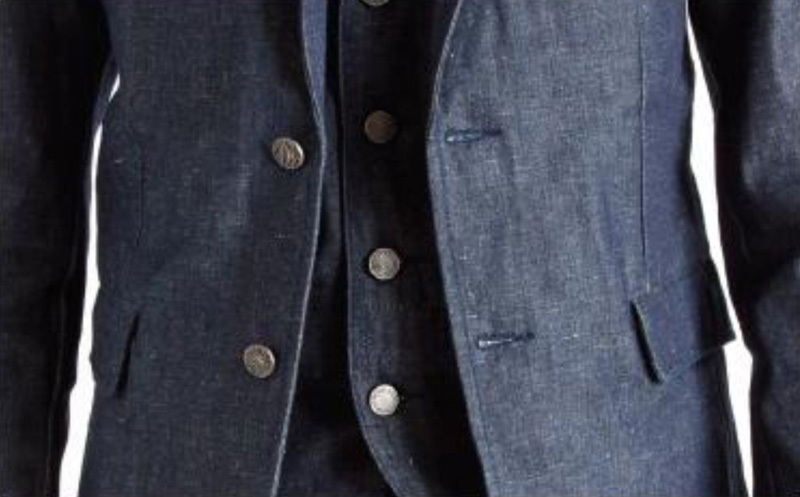 Bucks and Co epitomises the Alpha Male and with their 2013 spring summer menswear collection has managed to achieve just that with their haberdashery of selvedge denim suits. That said, we can’t be nostalgic for the age of cowboys and horseback riding because ‘nostalgia’ is a state of yearning for an era we have lived in but since progressed beyond. With the return of David Gandy types, the Alpha Male is back in fine form, putting to rest the wimpy metrosexual and with it, the emasculation of the male species by overly emotional men. I despise the camouflage trend, it’s undeniably head turning but irredeemably “fashionable”- I prefer classic elegance and I believe a demin blazer conveys the ephemeral nature of manliness better than camouflage print. It’s a smart re-interpretation of the urban cowboy- better dressed than John Wayne without betraying the rough shod nature of the genre. In the words of Bucks and Co: “In a world where the ‘Hunter’ has evolved, he is no longer content with shooting down game and foul, the ‘Hunter’ gleefully adopts the playing fields of the big city bars and clubs fending off his rivals. The ‘Alpha Male’ hopes to fulfill his urges without denting his honourable reputation.” In short, Bucks and Co SS13 is a step in the right direction. Premium fabrics sourced from reputable European and Japanese mills. Inner shirt placket hides a “bloody” thumbprint (rumour has it closer inspection reveals blood splatter). 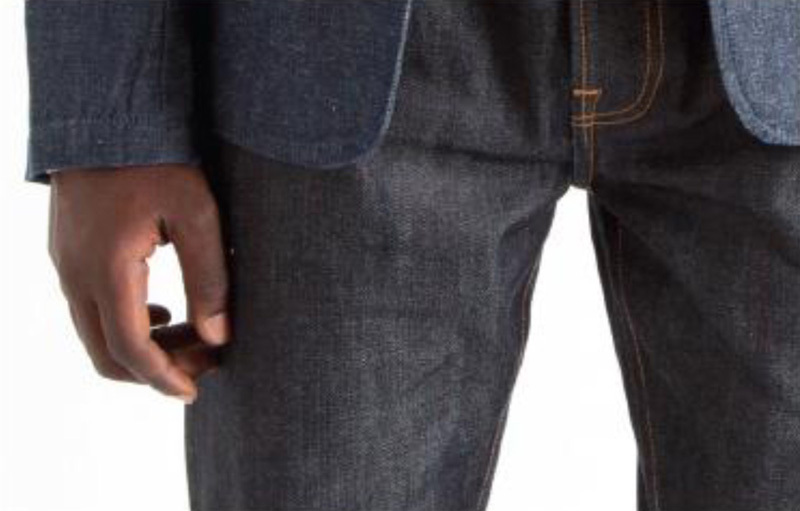 What makes Bucks and Co Denim different? Inspired by Vintage hunting badges, the front fly comes in 3 different finishes. Unfinished leather label conveys the rough living ideals of a cowboy, the label is akin to having been cut straight from a buck’s hide. 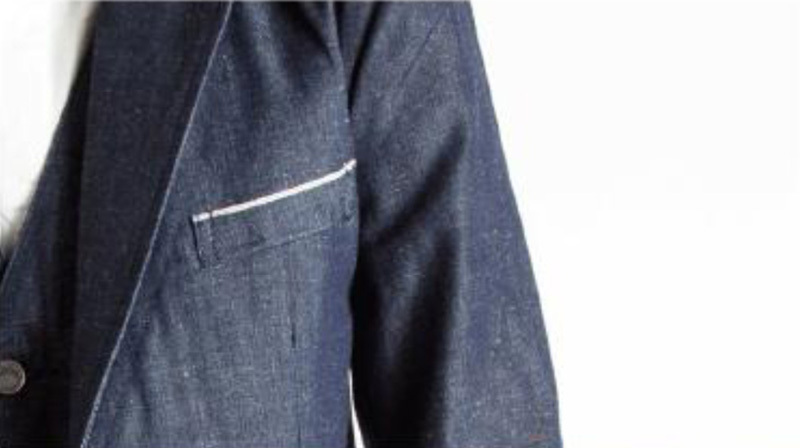 The pocket embroidery is homage to the Buck’s antlers. No city jock would be complete without his gear and what better way to go on urban adventures than with a Utility Duffel from Saddle Back Leather. 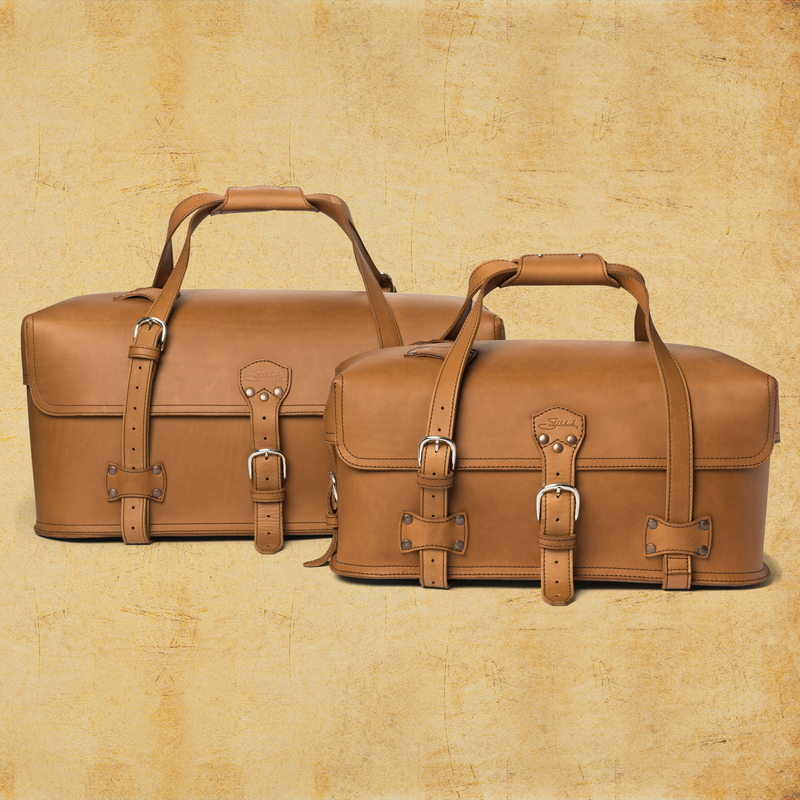 Made with only two pieces of leather using 100% thick full grain boot leather. What you get is a holdall wtih just one massive compartment with your clothes and ziplocked boots, loafers and toiletries. Finished with industrial marine-grade thread, Saddle Back promises no breakable parts like zippers and button closures, in fact, they’re so sure of the everlasting nature of their carryall that they’re willing to give you a 100 year warranty, what a gorgeous patina it would have developed by then. Utility doesn’t just describe the sheer tonnage of gear it can carry, it also stands for the four different ways it can be lugged including backpack mode. 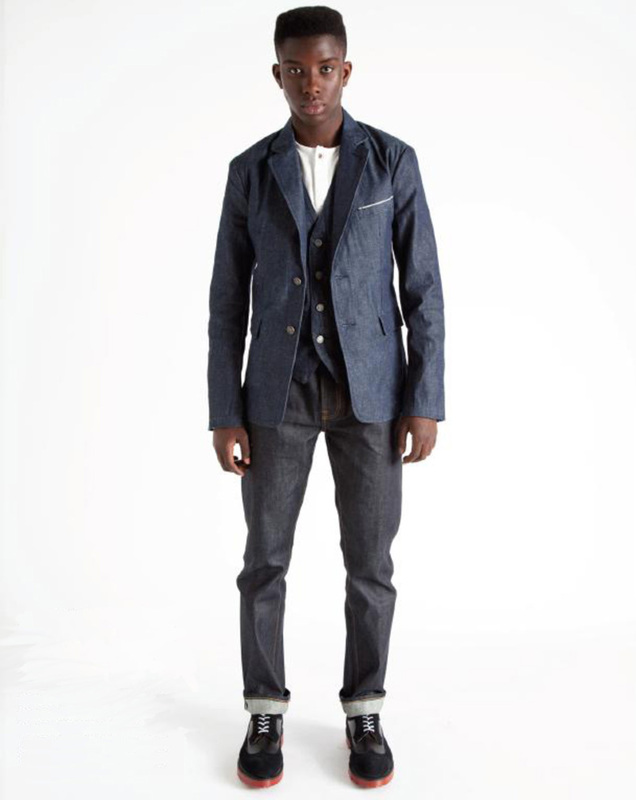 Seen here: (Country) Ticking Fade Wash Stripe Blazer with (Bullet) Prison Stripe Shirt and (BCJ003) Washed Green Tint Japanese Selvedge Jeans. Seen here: (BULLET) Ticking Stripe Shirt with (SCENT) Raw Green Selvedge Blazer and (BCJ001) Raw Green Selvedge Jeans.